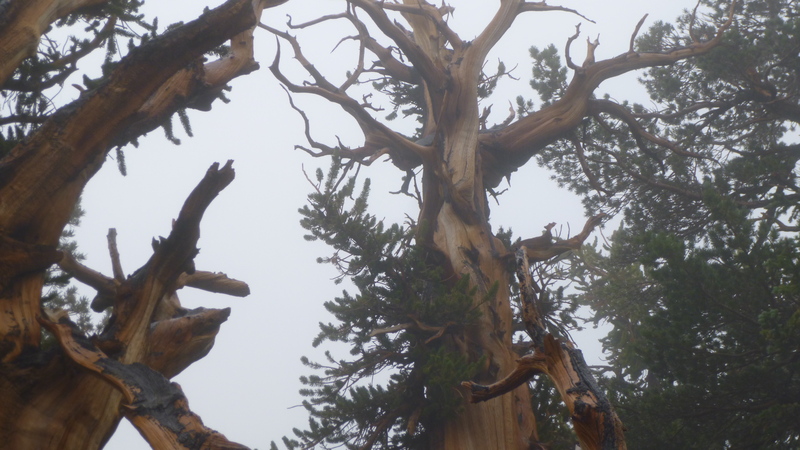 I woke up to a very rainy, foggy morning, which was a disappointment because I was going to be heading for one of my favorite national parks later in the day. 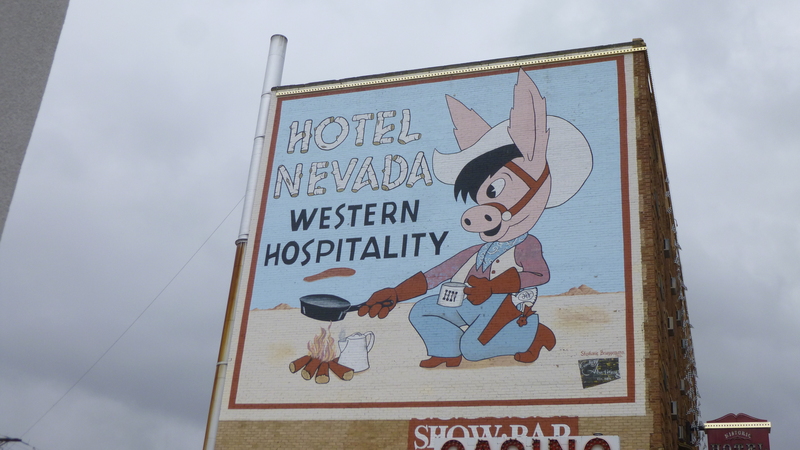 I figured I had saved one of the best parts of Nevada for last, and now the weather may not cooperate. I had hopes it would clear up. 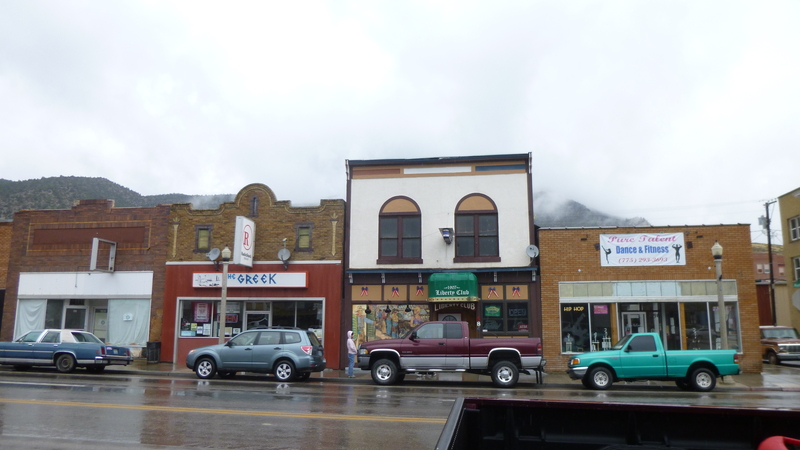 In the meantime, I headed out in the rain to the Ely Food Pantry to make a donation to the hydroponic program. I had called the food pantry last Saturday, but didn’t get an answer because it wasn’t during normal business hours. But a few hours later the director called back, even though I didn’t leave a message, and I explained what I was doing. He told me a little about the food pantry, and a lot about a new program they’re trying to get underway, which involves educating schoolkids about farming and hydroponic gardening, which is a means of growing plants without soil. They’re grown in some kind of water/nutrient mixture in a glass aquarium instead. They have a big tomato plant which is growing in this liquid mixture, and they take it into schools to talk about this new way of farming. Ultimately their goal is to be able to do more hydroponic gardening, and donate the produce to the food pantry, while also educating a new generation of kids about farming in general, and hydroponic gardening in particular. 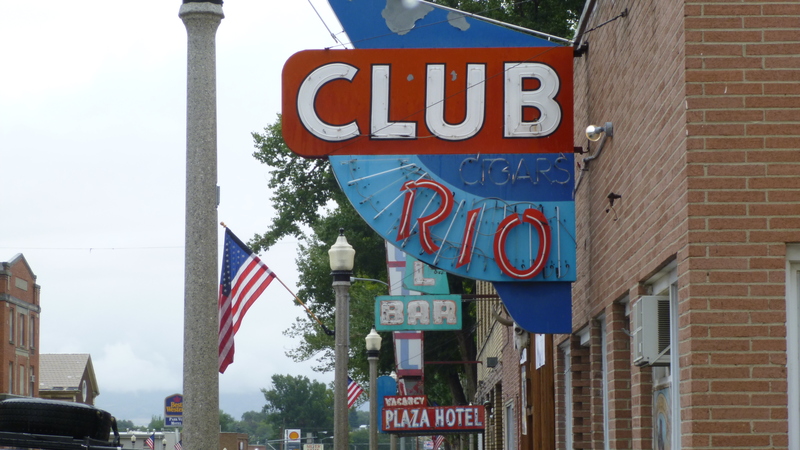 It’s a very interesting concept, and I told the director I would be happy to stop by and make my donation in a couple days when I was driving through Ely. He told me he would be at a conference for a few days, but one of the lab people would be there, and that’s who I met today when I did finally stop by. 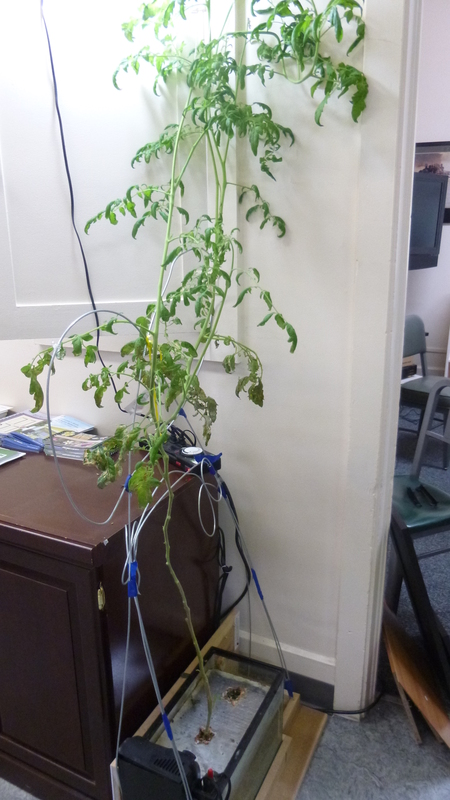 I walked through the food pantry area to get to the office I needed, and met the lab person who showed me their hydroponic tomato plant, and I wish them well in obtaining the grants they need to expand their program. The rain had let up a bit, and Tula and I got out to walk a mile around Ely – everything was still really wet! 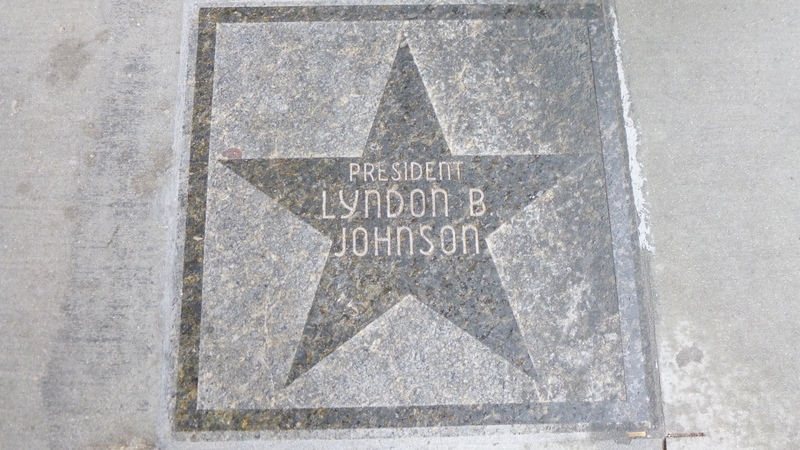 Ely is another old mining town, and it apparently has its own Walk of Fame with gold stars embedded in the sidewalk to honor the famous people who have visited the town. 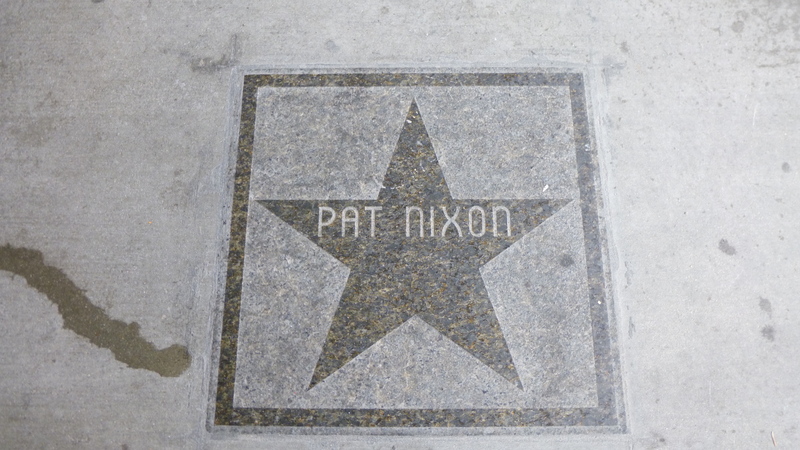 There were stars for Wayne Newton, Pat Nixon, Ingrid Bergman and President Lyndon Johnson among others – quite a mix of celebrities! 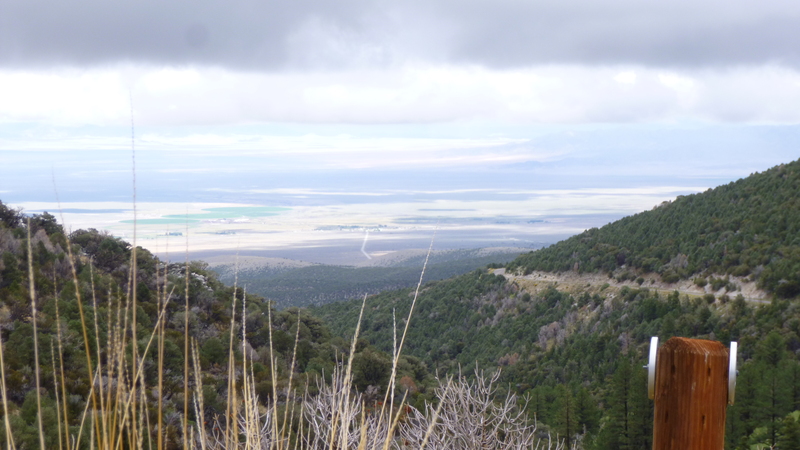 I got the last stamp for my loneliest highway passport in Ely, then headed off toward Great Basin National Park. It took a little while to get there, and I stopped at the visitor center to refresh my memory where the trails were in the park. 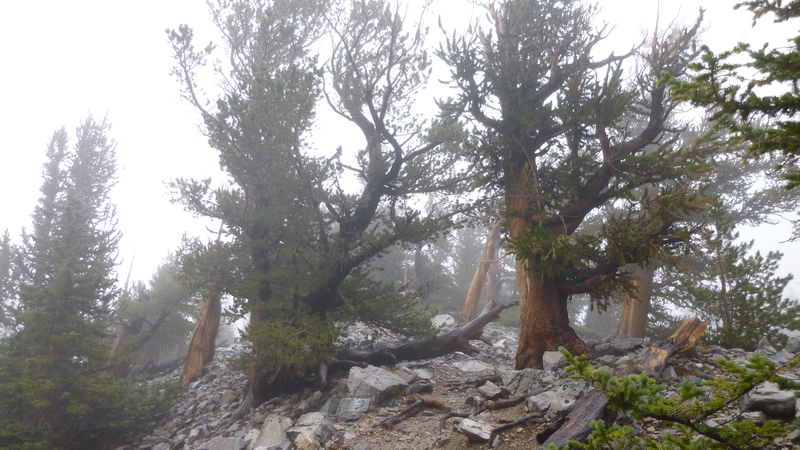 It was drizzly and gray, but I was determined to take the hike back to see the grove of bristlecone pine trees, which are some of the oldest living things on earth. To get to the trailhead, I had to drive up the side of a mountain on a scenic road. We climbed and climbed, passing 8000 feet in elevation, then 9000, and up past 10,500. 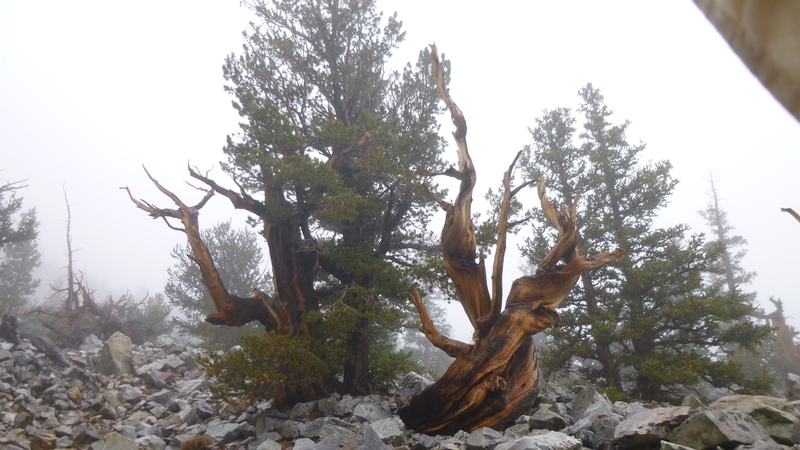 By this time I was in fog, or maybe the low-lying clouds, but I got to the parking lot for the trailhead, and set out to see the bristlecone pines. 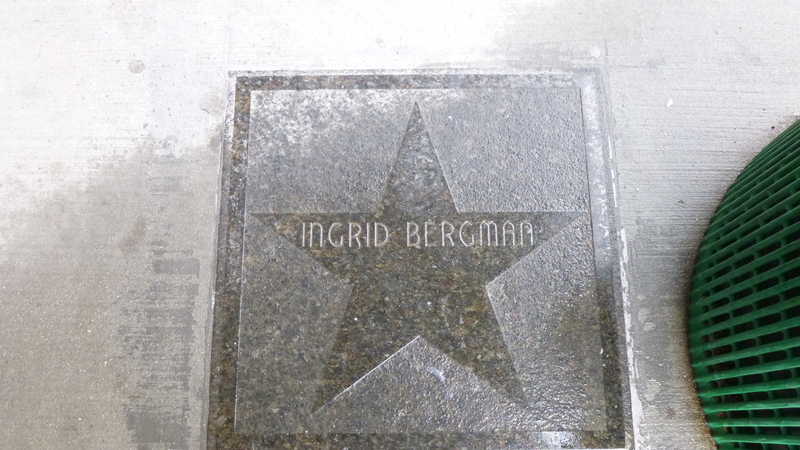 It was about a 3 1/4 mile round trip, mostly uphill through rocks on the way up, and it was drizzling – it was chilly up there, and I was wearing a fleece and a rain jacket and a hat, which also doubled as protection for my camera when I was taking pictures. 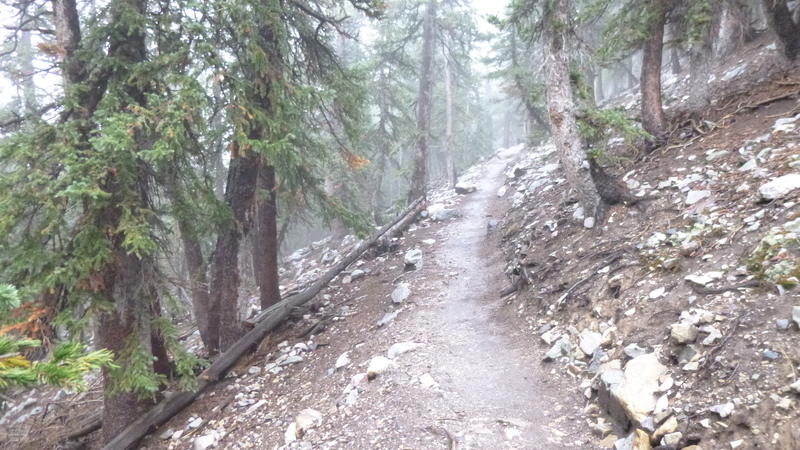 There were a few people out on the trails besides me, and I took it kind of slow since rocks can be slippery in the rain. 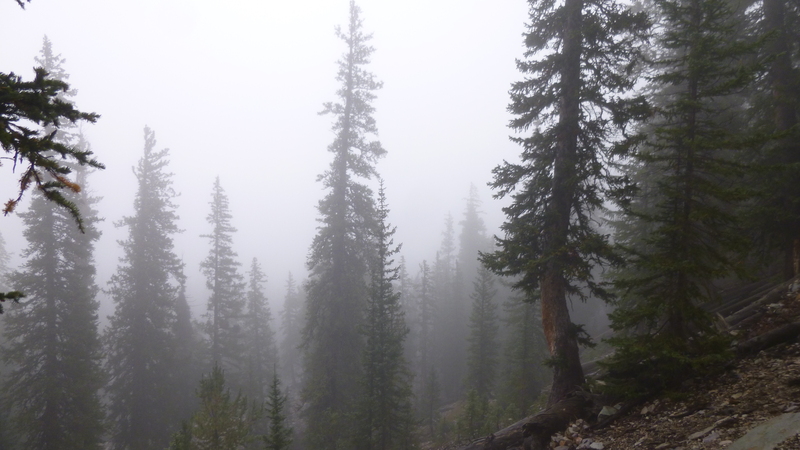 Despite the weather, I thought it was beautiful on the mountain in a misty, dreamy sort of way. 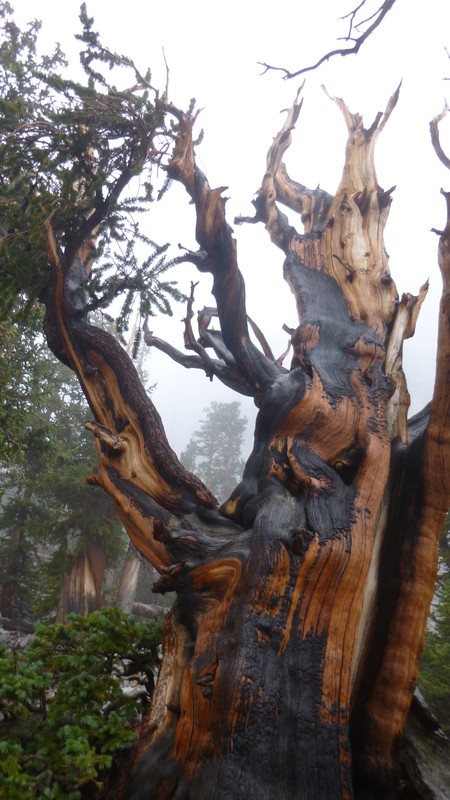 I hiked up to the bristlecone grove, and the ancient old trees fascinated me. 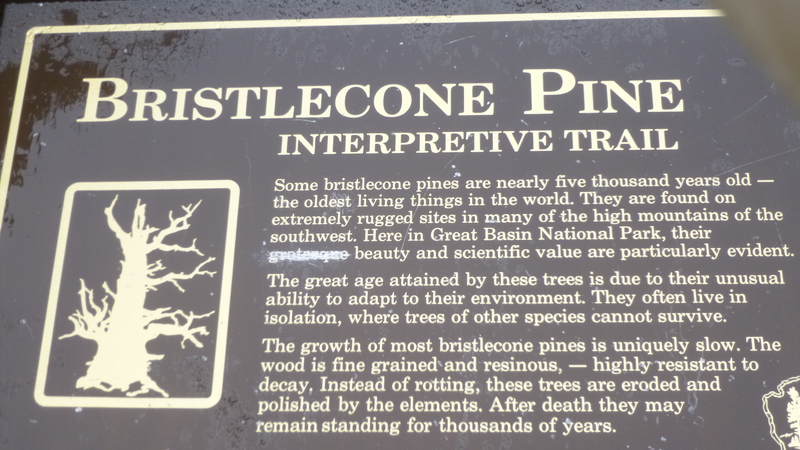 Bristlecone pines are the oldest living things on earth, and they can get up to 5000 years old. 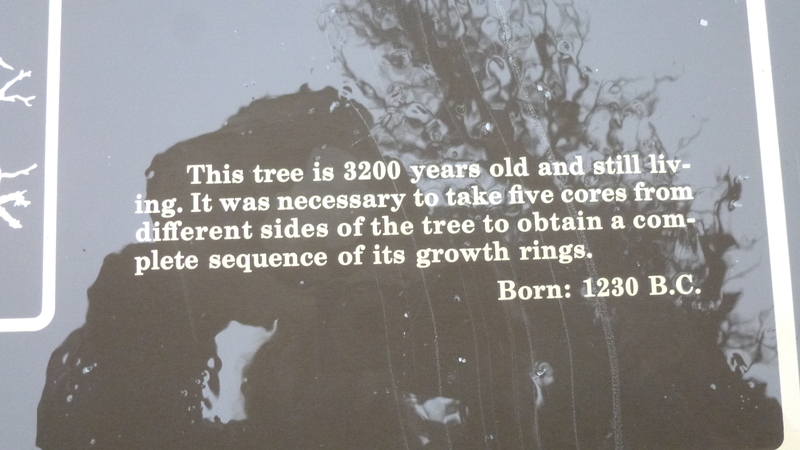 The oldest one at Great Basin is 3200 years old, and was “born” in 1230 B.C. 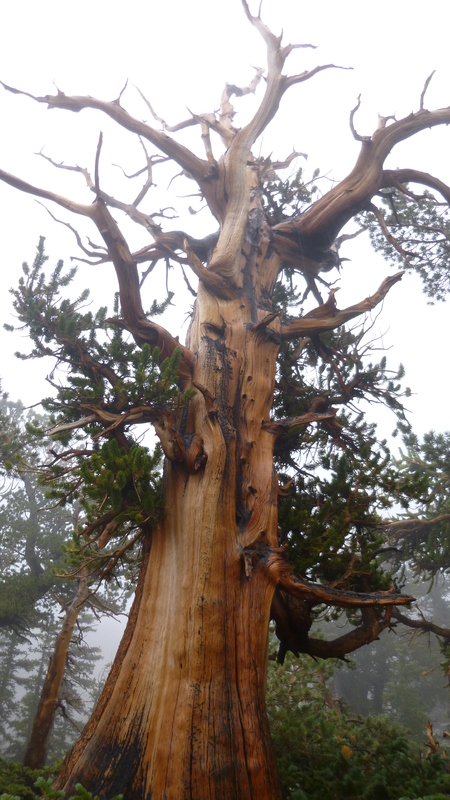 I could hardly comprehend the fact that I was gazing at a living thing that was thousands of years old. 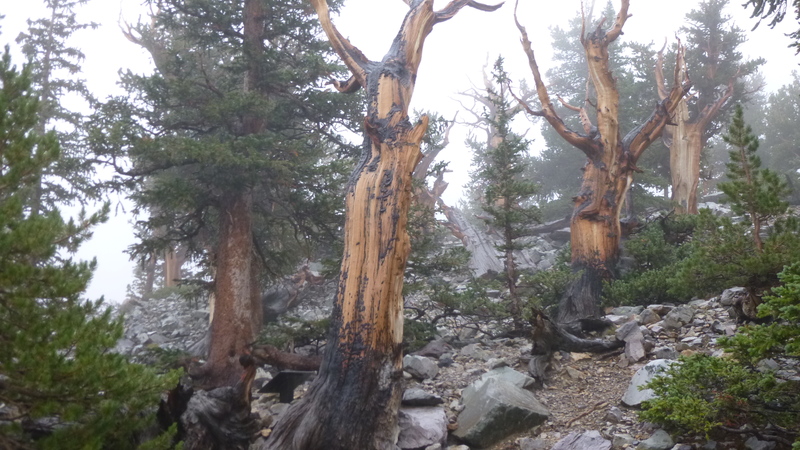 Most of the bristlecones appear to be half dead – and I suppose that’s part of the reason they’ve survived for so long. 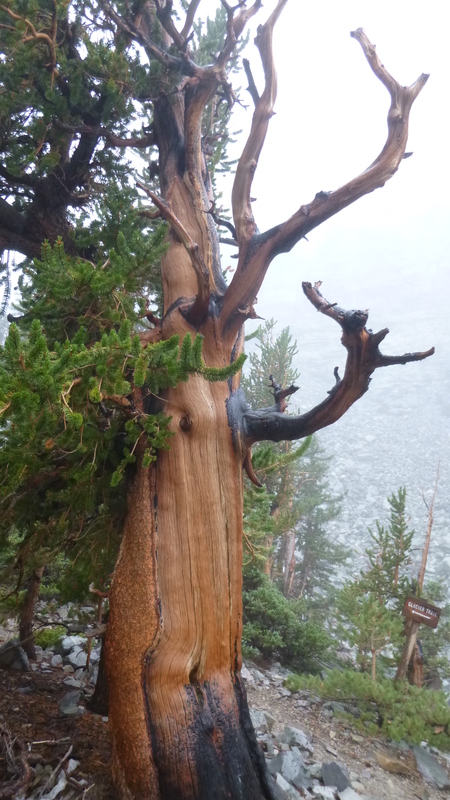 The green living part of the trees looks very healthy – and they clearly like the altitude and rocks and soil and all. The bark on some of the trees makes them look as though they were charred in a fire, and I don’t know if that’s the case, or if the black parts are signs of age. It was raining while I was wandering around the grove looking at all the trees, and I had to use my hat to shield my camera when I was taking pictures. After I had spent quite a bit of time up there (also a good place to reflect on the anniversry of 9-11), I started up the steep trail to see the glacier (yes, a glacier in Nevada! 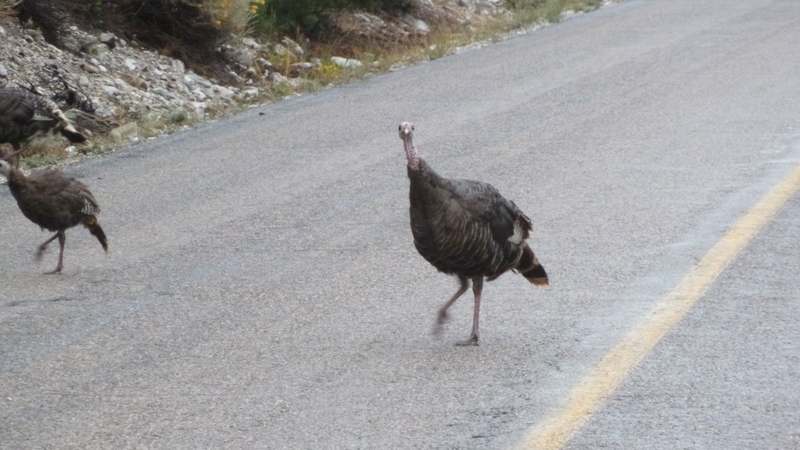 ), but I didn’t get very far before turning around. The path was over loose rocks, and it was steep, and with the rain making everything a little slippery, I decided to use good sense and turn around. I walked the mile and a half back to the van, and was feeling pretty soggy when I got back. I was relieved I hadn’t pushed on any farther. At this time, I knew I also had to get Tula out for a short walk, even though it was raining, so I got my umbrella (which I didn’t want on the other hike with all the trees) and Tula and I walked all through the campground that was up high on the mountain. Only 2 campsites were being used, and I felt a little bad for them trying to set up everything under tarps – it was cold up there too. 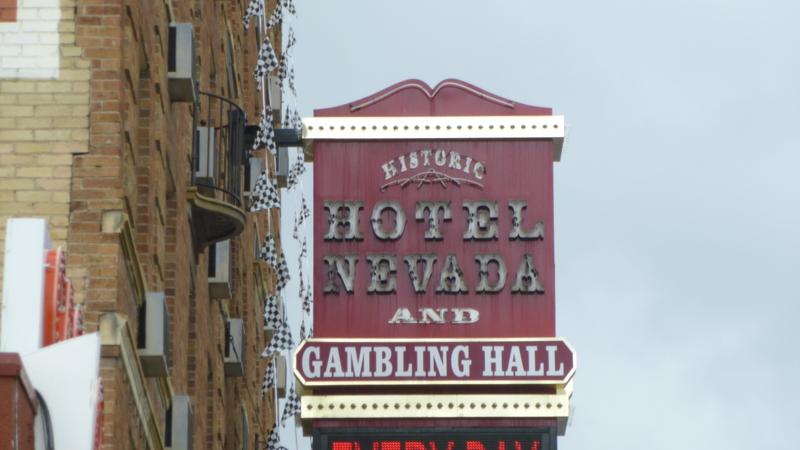 We went farther than I meant to – it was pretty walking through the woods, so I more than finished my Nevada miles, but Tula got pretty wet. I had a stack of towels to dry her off a bit when we got back, and I was happy to get my wet jackets off. 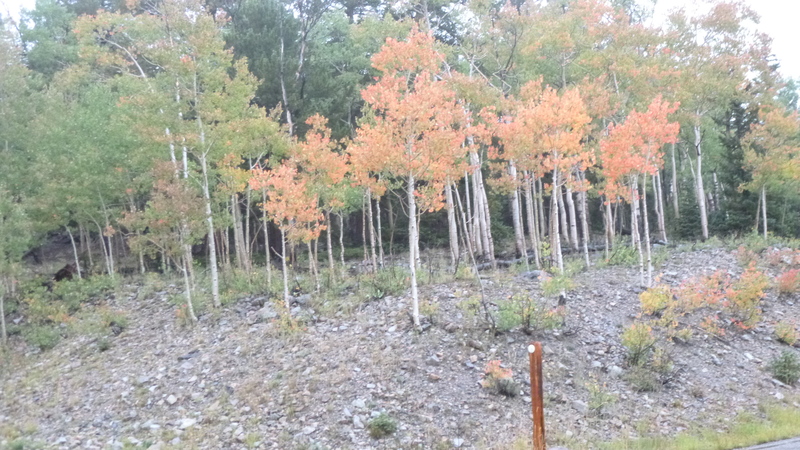 At that elevation, the leaves are already changing color, and I passed some trees with bright red leaves. I started the drive back down the mountain, and as we got lower, I came out of the clouds and then the rain slowed down to a trickle. 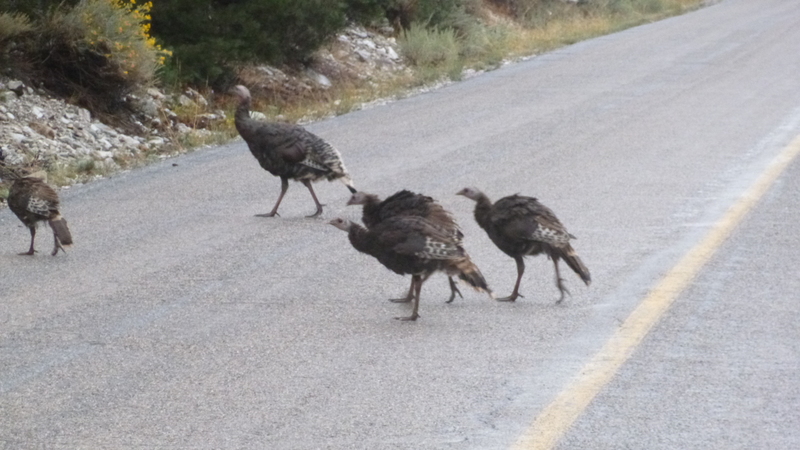 I saw a couple deer and a family of wild turkeys – 2 adults and a handful of young ones. 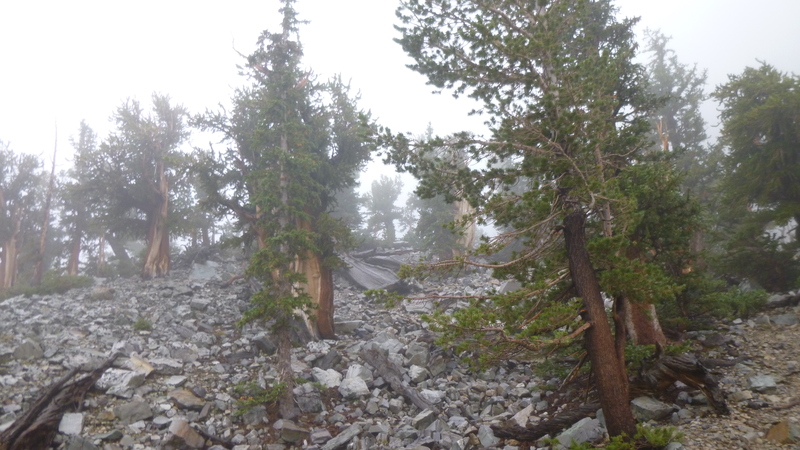 I saw a couple more campgrounds after descending a few thousand feet, and I decided to take a look at them since it was beginning to get dark. The first campground was full (people seem to prefer the lower elevation campgrounds!) but I found a good campsite at the next one I went through. I paid for my site, then drove the rest of the way down the mountain for some ice and jam so I could have a peanut butter and jelly sandwich, which sounded really good. I got back to my site right as the daylight was almost gone, and got everything set up. I got into warm, dry clothes and enjoyed my sandwiches and with my sleeping bag, quilt and pillows I was so warm and cozy I fell asleep way earlier than usual. I heard it raining again during the night, but I like listening to the rain in the van. 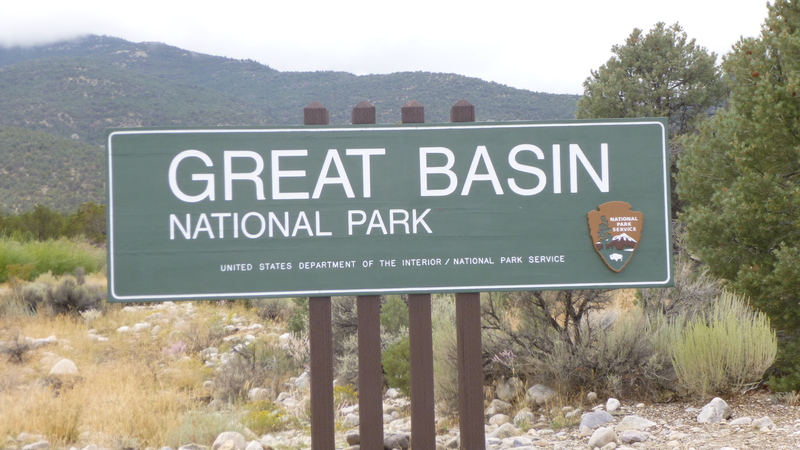 Great Basin National Park is right on the Nevada/Utah border, and my time in Nevada is finished. I walked more than 56 miles, and made all 7 donations – Three Square Food Bank; Helping Hands; Safe Embrace; Boys and Girls Club; Food for Thought; Veteran’s Guesthouse; and Ely Foodbank. 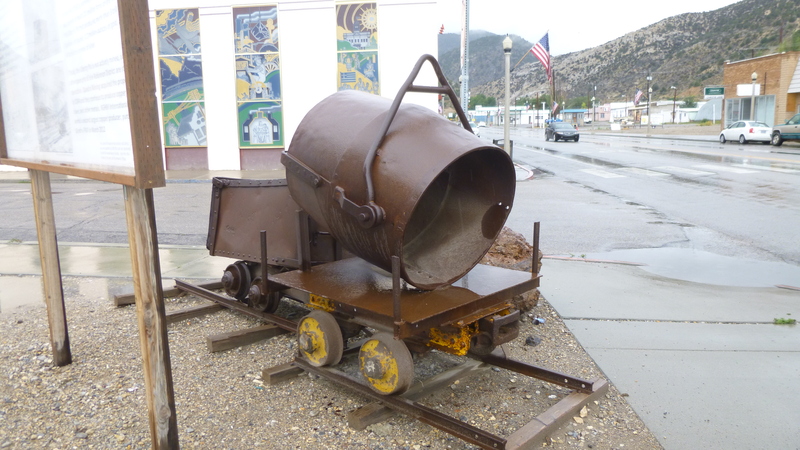 I was ready to cross into Utah first thing in the morning!